Nearing its tenth birthday, Tulane’s Center for Public Service is still fine-tuning itself. Founded in 2006 after Hurricane Katrina as part of the university’s efforts to rebuild New Orleans, CPS has grown into an institution at Tulane, but by no means has it reached maturity. In its adolescence, CPS is trying to navigate the frustrations and aspirations of both the Tulane and New Orleans communities as it tries to unify these disparate groups under the common goal of service. In 2012, CPS created a five-point strategic plan to accomplish this unification and improve the program as a whole. The mission remains the same: foster “mutually-beneficial relationships” and create responsible citizenship, but with a stronger focus on distinguishing Tulane as a leader in public service as an institution of higher education by cultivating best practices. Over the years, while both groups have benefitted from Tulane public service, students and community members have reported feeling underwhelmed by their Tulane service experience — not because they do not want to work together, but because they still struggle to overcome their historic separation and connect with each other. CPS Program Manager of Student Leadership Benjamin Brubaker had a different experience with Tulane public service. A sophomore when Hurricane Katrina hit, Brubaker participated in his first service learning with his English class in the fall of 2006. He felt dissatisfied with his assignment of only tutoring kids at a school in the Lower Ninth Ward. Encouraged by his professor, Nghana Lewis, Brubaker helped lead his class to organize a hip-hop benefit concert to raise money that would go toward helping the school return to its building. Brubaker, enamored by his experience sophomore year, returned to Tulane to work in CPS as a program manager. 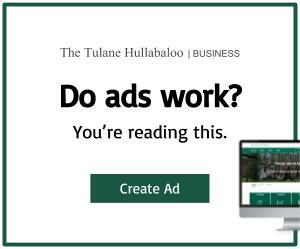 In new his role, Brubaker now concerns himself, along with the rest of CPS, with building a symbiotic relationship between Tulane and New Orleans through service, taking a critical view of public service at Tulane as a whole. These impacts not only vary between different classes but between countless students and their community partners. One of the biggest barriers to creating meaningful impact is the white-savior industrial complex. Tulane senior Derek Rankins, born and raised in the Lower Ninth Ward, was on the receiving end of Tulane public service after Hurricane Katrina, experiencing his future university’s first attempts at connecting with and supporting the city. Tulane students, not unlike Brubaker, filtered into his classes at The New Orleans Charter Science and Mathematics High School to work as tutors. Teju Cole, an art historian, photographer and distinguished writer in residence at Bard College in New York, popularized the idea of the white-savior industrial complex through a series of tweets that he elaborated on in an article for The Atlantic in March 2015. Cole describes white-savior industrial complex as the act of a privileged, often white, group going in to “save” a disadvantaged, often non-white, group as if the disadvantaged could not improve their situation without the help of a white savior. This mentality often leads to lack of humility within the privileged group, leading them to impose their own solutions and values onto communities where they might not necessarily fit. Linda Pompa, executive director at Oretha Castle Haley Boulevard Merchants & Business Association, has participated in workshops through CPS and observed Tulane’s public service in New Orleans over the years. While she is satisfied with Tulane’s efforts in the community, she has observed their tendency to inadvertently act as a white savior. Public service at Tulane can fall into students simply collecting hours as they try to meet their 20-hour requirement for each tier of service learning. Instead of working to best support their community partner, potential connections are reduced to minimum requirements. According to Christopher Oliver, a sociology professor at Tulane, in order for service learning to be successful the students need to learn the value of listening. They cannot go into a community and aim to help from the get-go, they need to evaluate the situation and then go from there. Simply assuming they can show up and help leads to a disconnect between the two groups. Beyond just the work they are required to do, some students have a hard time forming relationships with their community partners. Walking into a culture as unique as New Orleans as an outsider can be stifling. CPS acknowledges the white-savior complex as a problem in public service at Tulane, and is trying to counteract that with faculty and student training. These trainings with the service learning professors instruct attendees on how to go about establishing a service learning and finding community partners as well as the process of integrating themselves into the community. “I think our mantra in our office, at least within my program, is first ‘do no harm,’ and so we’re working really hard to make sure that every student that goes out in the community has some level of training,” Brubaker said. Even if many students find service learning enjoyable, they still grapple with this disconnect as well, leaving them feeling ineffectual in their endeavors. Some students express frustrations with their mandatory service learning, not understanding the impact of the required component’s connection to their classes. Students can find themselves doing smaller jobs, like clerical work, as part of their service learning. These students often feel as if their work has benefited neither the community nor their education. 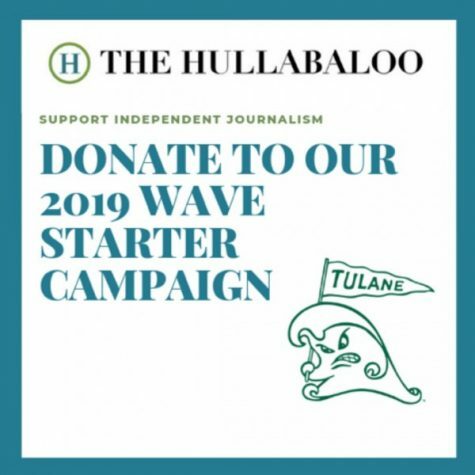 Nance understands this frustration but encourages students to view themselves as part of a larger concerted effort to support social change in New Orleans. With a vision of having community issues as an integral part of university life and coming up with creative solutions to social issues and challenges, CPS aims to push Tulane students to leave their comfort zone and become part of the New Orleans community on a deeper level. One of the more prominent changes is creating a forum for free exchange of ideas to have all voices heard and remain open to social challenge solutions. A major goal within the strategic plan is to understand the diversity and inclusion of everyone in all of the community encounters. Most of the frustrations with Tulane’s public service result not from apathy, but from the dedicated players all working toward the same goal. Fostered by the apparent passion behind this pillar of Tulane’s education and the changes in CPS, there can be a space to create a more connected and effective partnership between the university and the city it calls home.